The Cincinnati Bengals enter Sunday’s game at the Atlanta Falcons 2-1. Cincinnati is coming off of a physical beating doled out by Christian McCaffrey and the Carolina Panthers. The focus must now shift to Matt Ryan and the high-powered Dirty Birds. The Cincinnati Bengals have heavily invested premium draft capital at the cornerback position. Dre Kirkpatrick, Darqueze Dennard, and William Jackson were all first round picks. Kirkpatrick received a massive extension last year. Atlanta is going to attack them vertically with three talented wide receivers. Julio Jones is one of the top five WRs in the league. Mohamed Sanu, a former Bengal, is tremendous in the slot. Calvin Ridley, a 2018 first round pick, broke out last week against the Saints. The Bengals corners will get tested early and often. They must show up for the Cincinnati Bengals to stay in this game. Atlanta is hurting. Their two starting safeties, Keanu Neal and Ricardo Allen, have been lost for the year. Speedy LB Deion Jones is also out. Andy Dalton must test the vulnerable middle of their defense. Luckily they are equipped to do just that. Tyler Boyd has become a threat from the slot for the Bengals this year. Tyler Eifert looked like his old self against Carolina. C.J. Uzomah and Tyler Kroft have also played well. Dalton must take advantage of the lesser player in the back end of the Falcons defense. The Bengals must get Atlanta in long yardage situations. Carolina played in front of the sticks for most of the game. This situation will neutralize the Bengals pass rush. For them to have success at attacking the Falcons offense, they must keep them behind the sticks. Andrew Billings, Geno Atkins, and Carlos Dunlap must do a better job of penetrating the line. They have to slow down Tevin Coleman. Devonta Freeman is likely to miss this game. Getting Preston Brown back this week should help. 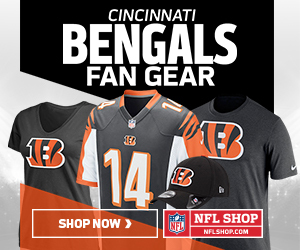 What do you think the Cincinnati Bengals need to do to win against the Panthers? Let us know in the comments!